I'm hoping there is some good creative juices going on! I cut out a bunch of squares with the idea of doing a circles of squares, but changed my mind. They are cut out in the following sizes: 6.5, 6.5, 4.5, 3.5, 2.5 and 1.5 inches respectively. I'm playing with layout options, but need help! The four colours at the bottom - I have those too, in all of the sizes. I have tons of white fabric to do borders around them to make them all the same size. It doesn't have to be on point, at this point I just need ideas on what to do with these squares! Just an idea here. Border them all in white to bring the blocks all to the same size. Stack same colors small to large top to bottom. Like a drop of water growing as it goes down? What about clustering the biggest ones in the center, and have "rays" shooting out from it, from largest to smallest, with a white background? Or have the largest on top. I also like the rays idea. I like the last option. Reminds me of beads cascading down. The last one is my favorite also. 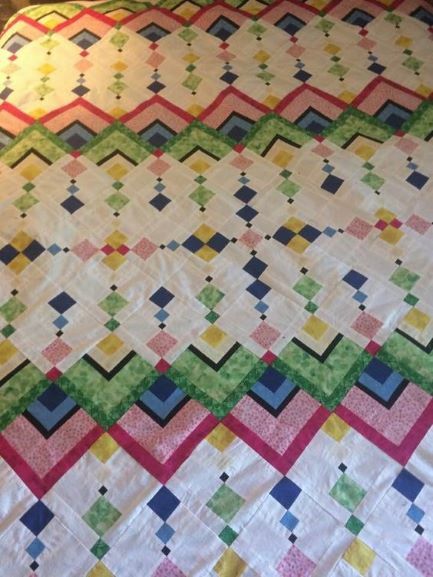 If you want to add to your squares, here is a cute quilt I saw on Pinterest. 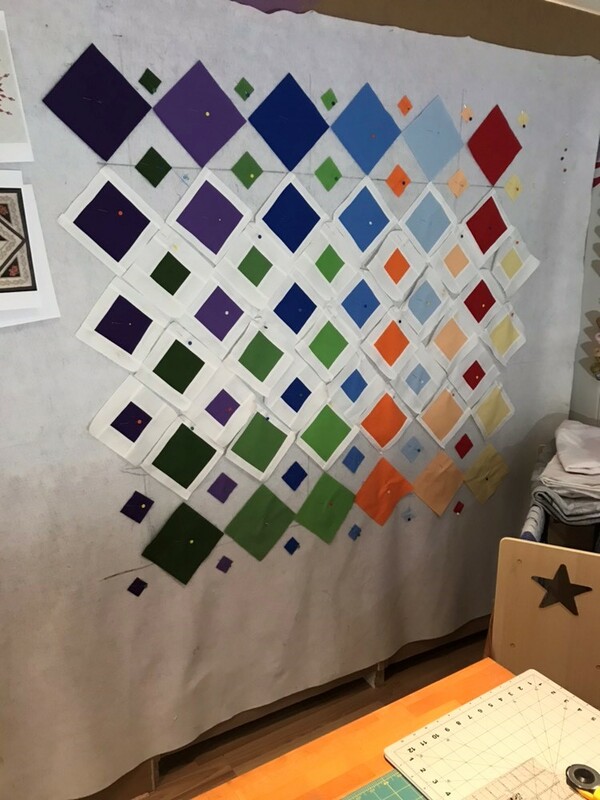 Makes nice use of different sized squares/colors. Maybe arrange the colors in a rainbow kind of layout? I like your last option but I see that you have some other ideas from the members. right now I'm making them all 6.5 inch blocks ... white border - it will be easier to try other layout options then! 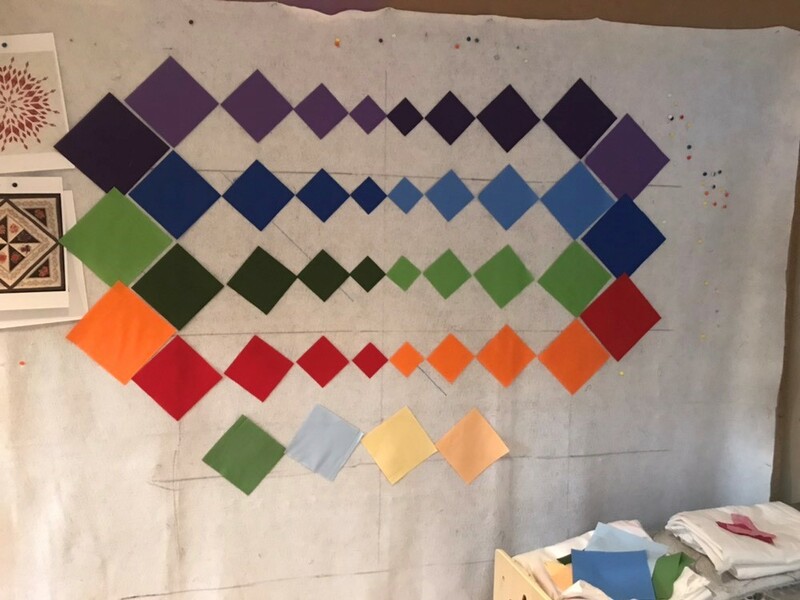 I would need tons more fabric LOL ... it is pretty tho, and a great idea for a future quilt! so here's what I have so far ... once all of the blocks are the same size, I'll be able to play a bit more with a design if I don't like this one! I like what you've started. Looks great! 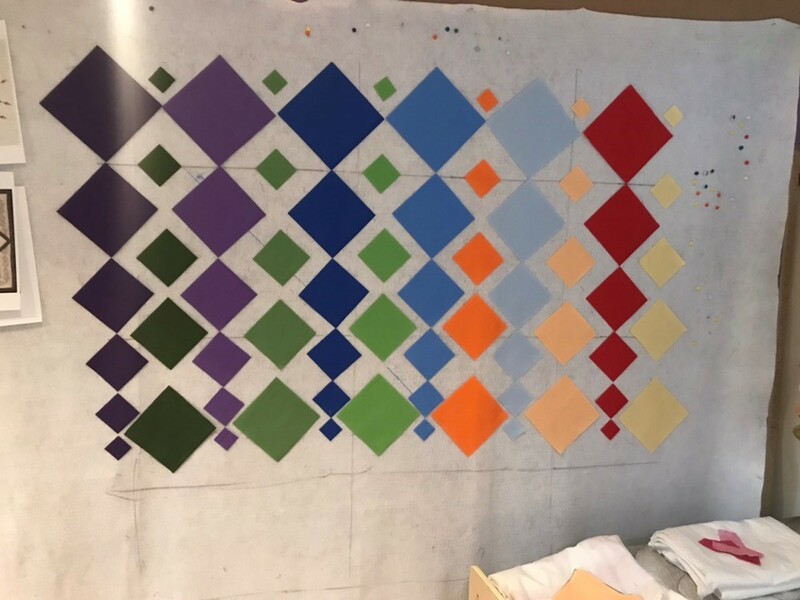 That is going to be nice, I really like it, the colors will really pop. I really like this layout. You go, girl! So, I ended up sewing it all together in the "drop down" layout ... now I need ideas on how to quilt it. 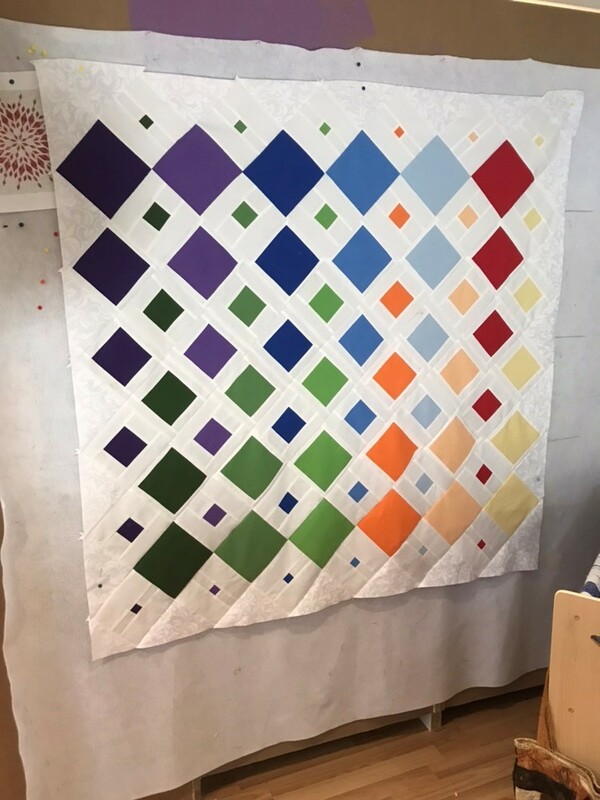 I'm pretty good at FMQ, so float those fabulous ideas by me! Thanks so much for all the input! I so love this board for all the creativity!